Beginning this Friday, Albertans will be able to get take-home naloxone kits free-of-charge from community pharmacies without a prescription. The province is also providing $3 million to Alberta Health Services to support the Opioid Dependency Treatment Plan Strategy, a three-year project that will expand counselling services and access to suboxone and methadone treatment in several communities where the need is greatest. By the end of the first year, an additional 240 Albertans are expected to be receiving opioid replacement treatment; an increase of 20 per cent from the number currently being treated at existing AHS clinics. Naloxone kits can be used to temporarily reverse overdoses of fentanyl or other opioids, so people have time to seek emergency help. The kits are free of charge and are available to any Albertan who is at risk of overdosing on fentanyl or other opioids. The Alberta College of Pharmacists’ Standards of Practice allow Schedule 2 drugs to be dispensed or sold to patients’ agents. As a result of this change, friends and family members can obtain naloxone kits for loved ones at risk. 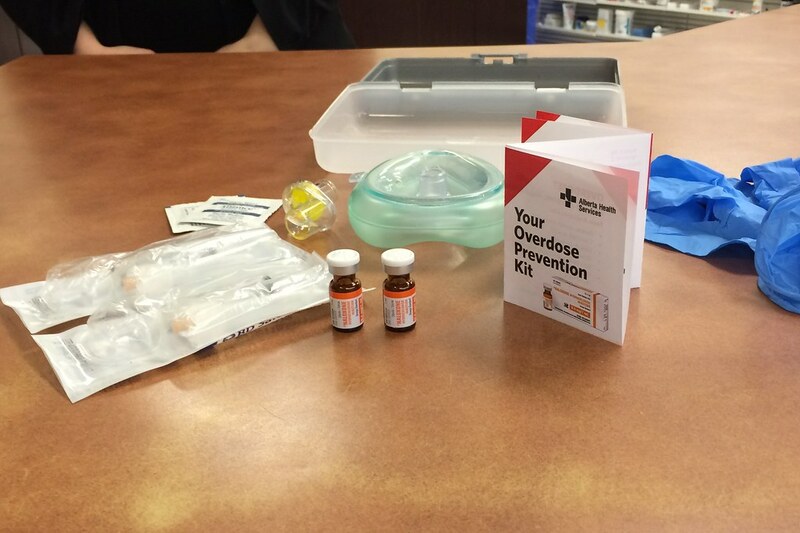 Albertans are encouraged to call ahead to their local pharmacies to ensure kits are available. In order to allow naloxone to be classified as a Schedule 2 non-prescription drug, the province has amended The Scheduled Drugs Regulation to the Pharmacy and Drug Act. Alberta is the second province in Canada to allow naloxone to be provided without a prescription. reducing the supply and trafficking of fentanyl. emergency medical technicians and emergency medical responders to administer and distribute naloxone. Since December 2015, Alberta has tripled its supply of naloxone kits, from 3,000 to 9,000. Alberta has more than 700 naloxone distribution sites, including community pharmacies, walk-in clinics, and harm reduction agencies. Together, they have provided more than 2,000 naloxone kits to Albertans since the summer of 2015. Alberta Health and AHS continue to work in cooperation with Health Canada and First Nations communities to ensure naloxone is available to First Nations people on and off reserve. Alberta Health Services continues its public education efforts through drugsfool.ca, paid advertising, and information and resources for health professionals.